Carnival Cruise Line today launched its Carnival AirShip - a 128-foot-long red, white, and blue blimp that takes center stage as part of the line’s Homeport Advantage campaign, designed to raise awareness of new cruise ship deployments in several key markets along the Atlantic and Gulf Coasts, Carnival said. The AirShip made its aerial debut today at Carnival’s Sixth Annual Day of Play at St. Jude Children’s Research Hospital in Memphis, Tenn. – the first stop in a 30-day airborne journey across seven U.S. states, according to a press release. After departing Memphis, the AirShip will proceed to Dallas before heading down to Houston then continue the journey with visits to homeports in Galveston, New Orleans, Mobile, Tampa, Miami, Fort Lauderdale, Port Canaveral, Jacksonville and Charleston before ending in Atlanta. As part of the campaign, consumers will have a chance to win free cruises, Carnival swag, VIP event passes and Carnival cruise gift cards when they take a picture or video of the AirShip and post it on Facebook, Instagram, or Twitter with the hashtag #ChooseFun. The hashtag will also trigger a donation to St. Jude Children’s Research Hospital. 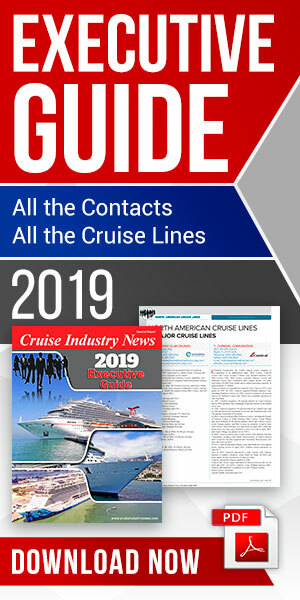 “Carnival is America’s Cruise Line and what better way to showcase our new offerings in popular homeports like Galveston, Port Canaveral and Miami than with our very own AirShip that highlights our #ChooseFun tagline while supporting the special kids at St. Jude Children’s Research Hospital,” said Christine Duffy, president of Carnival Cruise Line. As part of its journey, the Carnival Airship will stop in Miami on Sept. 20 to welcome the new Carnival Horizon to its year-round homeport. Shipboard festivities will include fun events hosted by NBA Hall of Famer and Carnival Chief Fun Officer Shaquille O’Neal and featuring Miami Heat players.